I recently acquired a single polyp zoa frag and accidentally knocked it off the plug when I dipped it. I quickly glued it back on but did a terrible job. 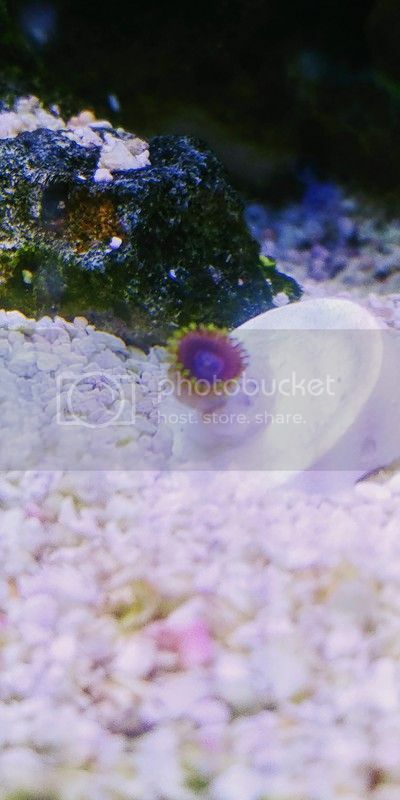 Does it look like this polyp will propagate? It's glued on its side and not much is attached to the glue. Enough to hold it in place but perhaps a poor place for growth? Should I reglue it? Try something else? I'm quite disappointed in myself. Any advice would be greatly appreciated. Should be fine. The polyp will move to where it's happy. what kind of zoa is it? Was sold to me as a Cherry Hornet.